On May 10, 1996, Finnish rockers APOCALYPTICA released their epic debut, "Plays Metallica By Four Cellos". 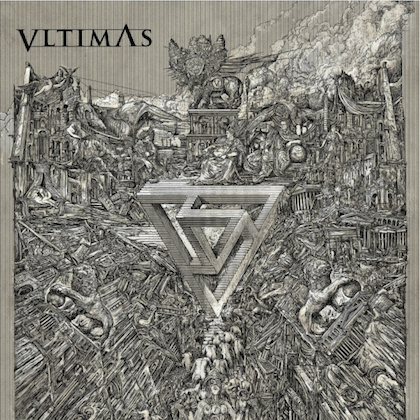 The instrumental cello-driven rock opus changed the landscape of heavy music for years to come. To celebrate the 20th anniversary of the album, the group re-released it, remastered with three bonus tracks, in 2016. The band has been touring the world in celebration of that anniversary and played a bunch of well-received U.S. dates early last year. The celebration continues into 2018 with a brand-new set of U.S. dates. 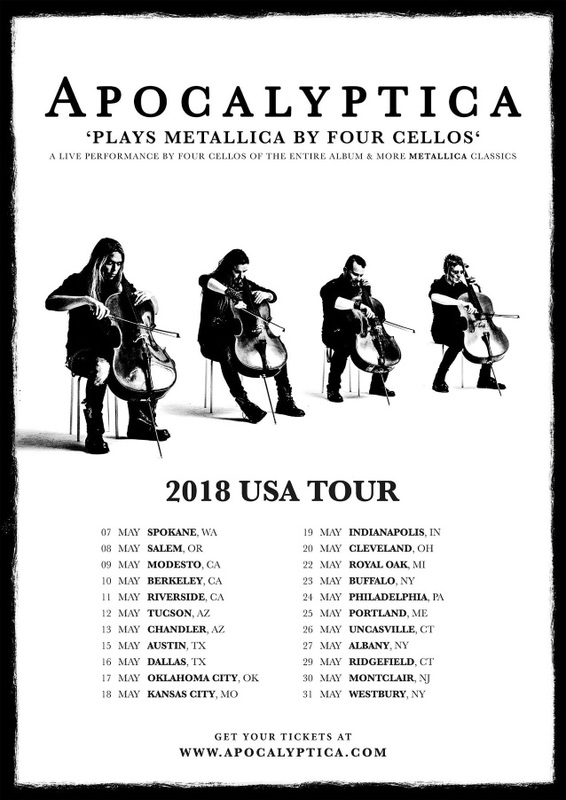 Upon its release, "Plays Metallica By Four Cellos" introduced APOCALYPTICA's unique take on metal with a series of cello-based METALLICA covers. 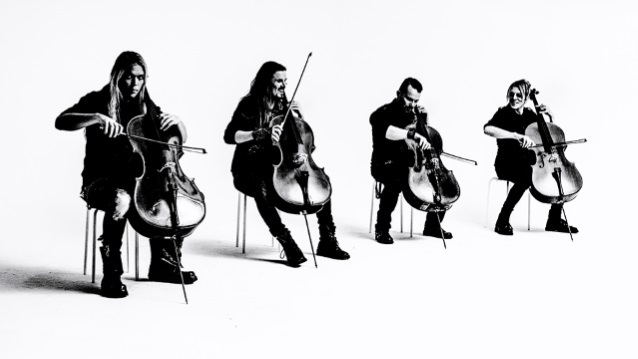 Even more, APOCALYPTICA created its very own genre and laid the foundation to a career that has lasted for 20 years so far with millions of records sold and sold out shows around the world. 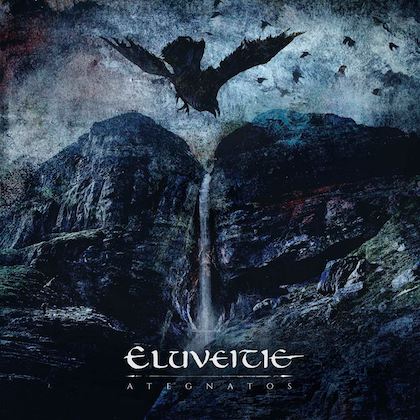 APOCALYPTICA's Eicca Toppinen said last summer that fans will have to wait a while longer before they hear the follow-up to the band's 2015 album, "Shadowmaker". 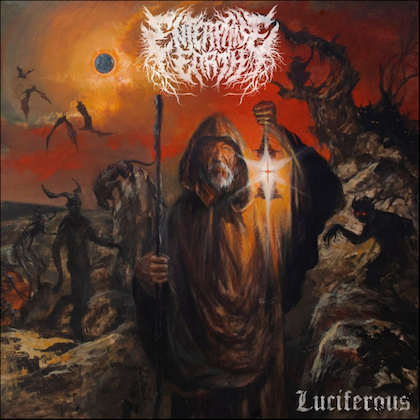 Toppinen said: "We [are now] focus[ing] on this, touring-wise, this ['Plays Metallica By Four Cellos'] concept," he said. "Originally, I thought, 'Hey, let's make the anniversary thing. Let's play a maximum of 30 shows.' Because, first of all, we didn't know how interesting the concept we [could] create, how it [was] gonna work out. But suddenly it turned out great — the concept is really good, and there seems to be a lot of demand; people want to see it — so we thought, 'Okay. If people want to see it, let's do it.' So now we are gonna play maybe 150 shows of this concept."